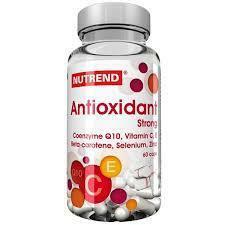 To meet diverse needs of our prominent clients, we are engaged in providing an excellent quality Antioxidant Capsule. 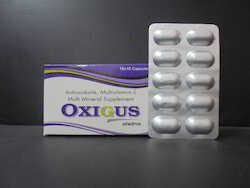 Driven by technical excellence, we are counted as the topmost supplier of excellent quality range of Multivitamins, Multiminerals & Antioxidants Capsules. Age Group: 5-12 Yrs., 26-40 Yrs., Above 40, 13-25 Yrs., <5 Yrs. Antioxidants, Vitamins & Minerals Tab.